Wanted to show another one of the controllers I've done. 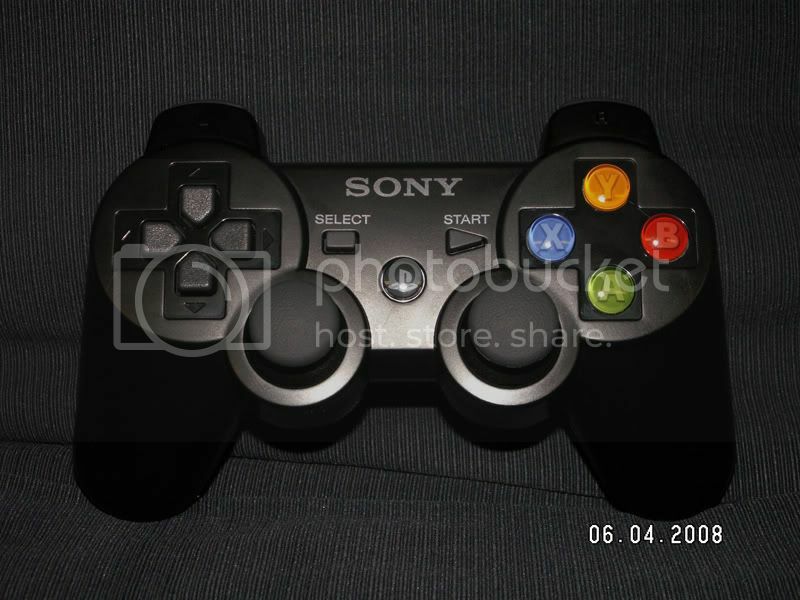 This one is a Wired CL version 360 controller stuck in a DualShock 3 shell. 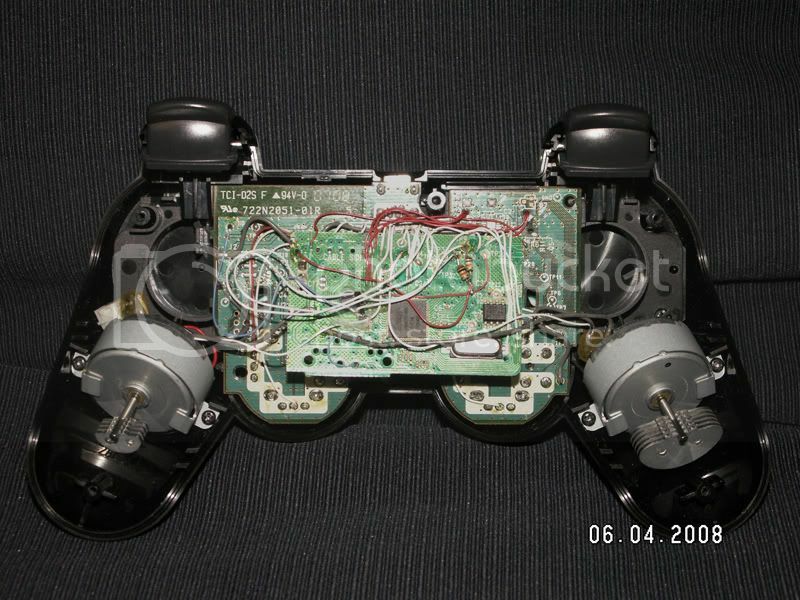 This mod is done with the PS3 board (original version) stripped of almost all of it's parts and the controllers daughter board kept intact (mostly) and the CL board cut to about the size of the battery in a PS3 controller. Rumble is in there and the mini USB connector/cable becomes the controller cable. The only thing I left out was the headset connector, which I'll probably add on the next one I make up. Also the L2/R2 isn't analog for the Triggers. 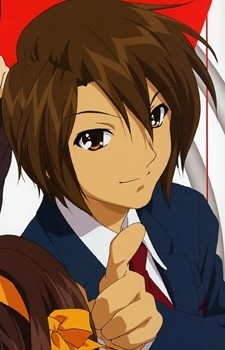 That's because of the way the Sony daughter board is and something I also hope to get resolved with future versions. ..and the LEDs to the 360 green. Screwing up is one of the best learning tools, so long as the only thing you're not learning is how to screw up. Wow thats such a cool mod. Nice work! that's cool and all, but you've gotta switch out the joysticks for the 360 ones! Awsome and simple mod. But wait... where is the communication port and headset jack socket?! There is also no socket for charging cable plug So bad. grossaffe wrote: that's cool and all, but you've gotta switch out the joysticks for the 360 ones! hdx wrote: Awsome and simple mod. But wait... where is the communication port and headset jack socket?! There is also no socket for charging cable plug So bad. It's wired, so it doesnt need the charging cable. The other two though. Do most of you guys just look at pics and that's it? 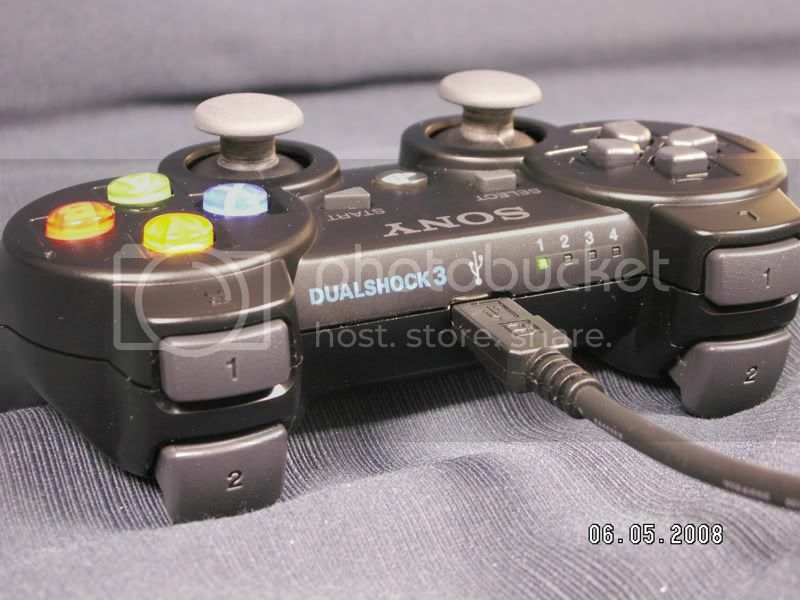 The joystick caps do fit on the PS3 sticks, but they sit much higher and hit the shell and on this one I didn't get into what it would take to swap them over, eventually on another one I will. The headset jack was just left out of this one is all, no reason it can't be installed and on some other one it will be, there's room for it. As for the 'communication port' I assume you're talking about the connections on the outside of the headset connector. Since the only thing that uses it is the chatpad and since it's not contoured to fit the PS3 shell installing that seems a might pointless. RDC wrote: Do most of you guys just look at pics and that's it? of course, reading is for losers! grossaffe wrote: of course, reading is for losers! Kool, just checking, loser. <- That's obviously a joke since ya had to read that to answer it, as did I to come up with that gem of a line there, so I guess we're both in the club then, just wish it wasn't so exclusive sometimes. don't sweat it, make something awesome and you'll be featured around the internet for your 15 minutes of loser fame. grossaffe wrote: don't sweat it, make something awesome and you'll be featured around the internet for your 15 minutes of loser fame. That from jealousy or experience? 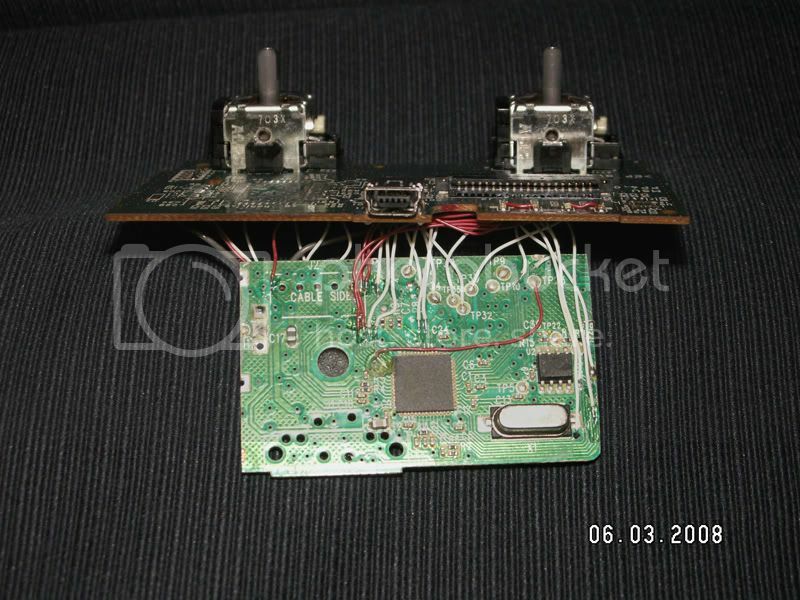 On topic though, does anyone around here do PCB fabricating? Not that Rat Shack PCB kit kind and nothing like a nice 6-layer motherboard, but anything along the middle lines though, like a 2 layer board? I know there are loads of places online to have that kinda thing done, just wondering if anyone here has had experience with it or would recommend a certain place? jealousy as I have yet to complete a project. Looks great with the colorful buttons. I love that about the N64 and xbox/360 controllers. I need this for when MGS gets ported to the 360.